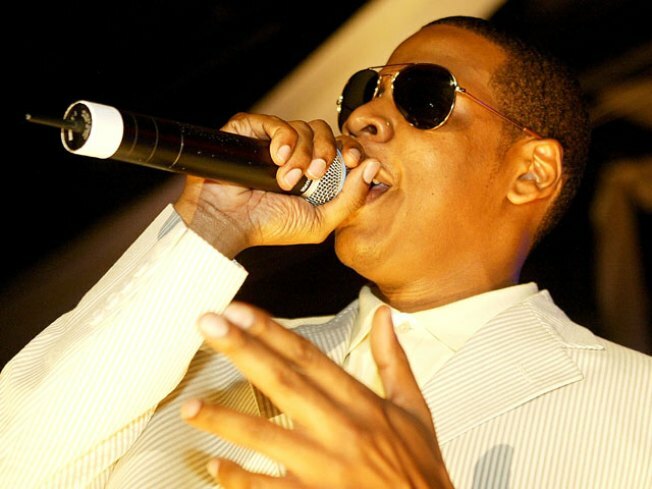 Jay-Z will bring his "Empire State of Mind" to the West Coast for Coachella this year. The Brooklyn-born rapper will headline the Coachella Valley Music and Arts Festival, which kicks off on April 16 at the Empire Polo Club in Indio, Calif.
Rock acts Muse and Gorillaz are set to headline on April 17 and 18, respectively. The three-day festival — with more than 130 acts — also includes Thom Yorke, David Guetta, MGMT, Phoenix, Vampire Weekend and Wale. Tickets for COACHELLA go on sale Friday, January 22 at 10:00 AM at all Ticketmaster locations and www.coachella.com. Three-day weekend passes are $269, plus surcharges. More details on layaway, camping options and up-to-the minute information, can be found at www.coachella.com.